I know we have quite a few British folks who drop by. How do you feel about this characterization? Haha, I'm not British but that is funny. I love the Keep Clam and Carry On mantra..I say it daily. A little bit of snow does seem to effect us more than it does other countries. I can only please one person per day. Today isn't your day... tomorrow doesn't look good either. Stoic about everything but snow. Probably a good trade. 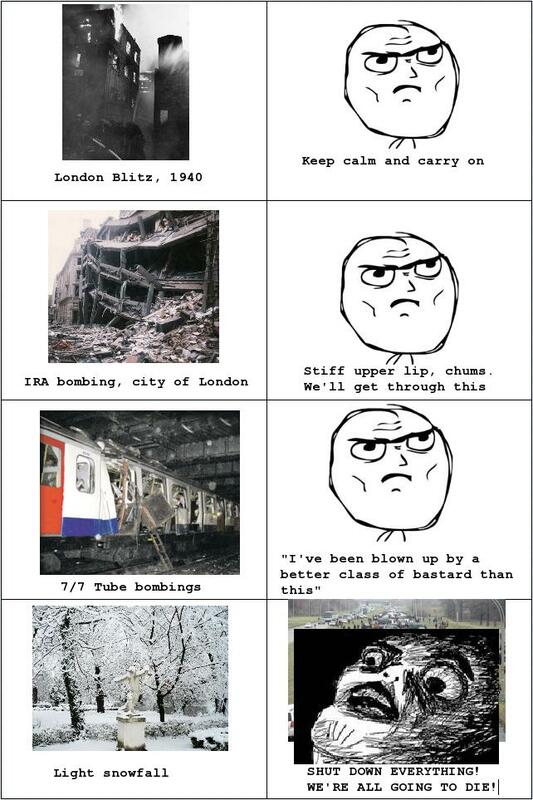 I think it's that Brits have never properly learn't to deal with it. We could learn a lot from Scandinavian countries where they have the infrastructure and equipment to deal with heavy snow and life seems to go on regardless of it. SouthEast United States is the same way...we had two inches last year and roads were closed and schools were shut down for three days.